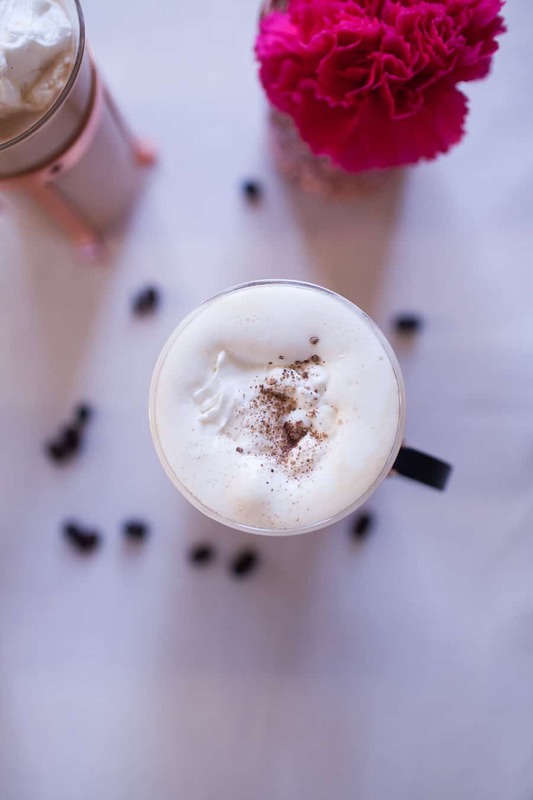 If you love a traditional Irish Coffee, you’ll love this hazelnut twist even more! 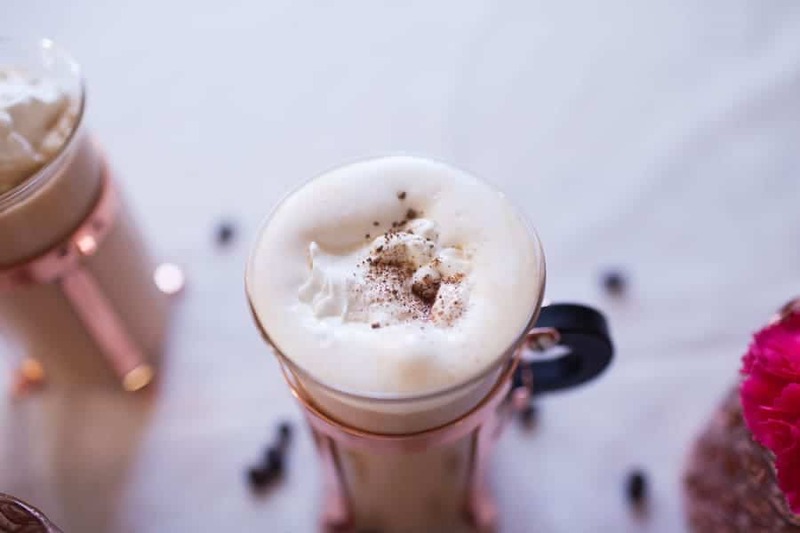 This Irish Coffee with Hazelnut Whipped Cream has hazelnut creamer for a hint of sweetness and is topped with a dollop of homemade hazelnut whipped cream. 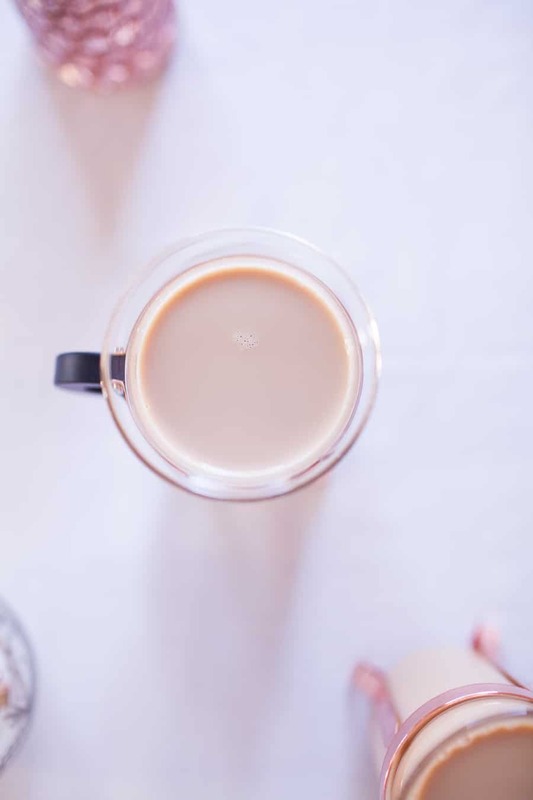 Sip on this for any holiday morning! One of my favorite parts of holidays is post-dinner dessert and coffee. It’s truthfully the best part of the meal, if you ask me! There’s just something about a hot cup of coffee that settles a meal and makes me feel all cozy. A lot of people love a post dinner cocktail. I am totally in support of that, especially if I don’t have to give up my cup of coffee. 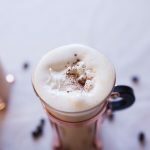 This Irish Coffee cocktail is a little twist on a traditional Irish Coffee, which is just coffee and Bailey’s most of the time. 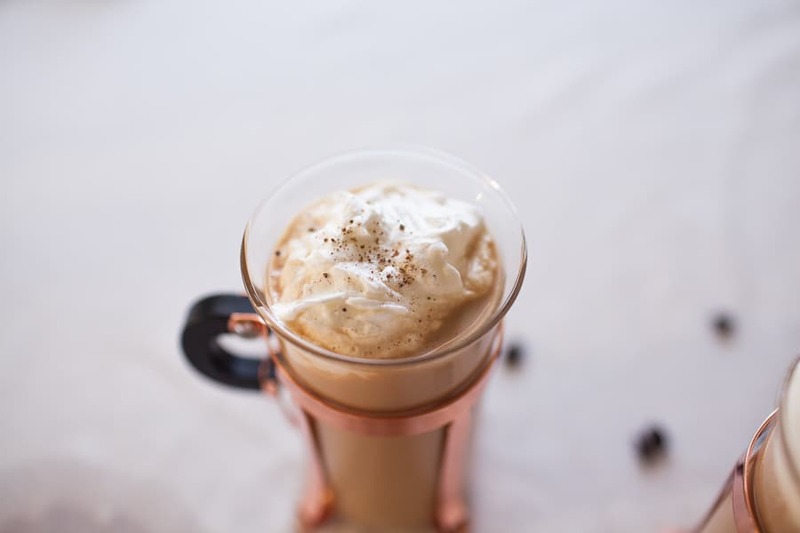 I added in one of our favorite hazelnut creamers and a bit of Bailey’s and this cocktail is perfect for sipping on after dinner. I’ve always been quite picky about whipped cream, but I’ve found that making your own whipped cream from heavy whipping cream is truly the best way to enjoy it. You can add a dash of your favorite flavors, in this case, hazelnut! Adding two tablespoons of hazelnut creamer was just enough to give this whipped cream the rich flavor. Steven is a huge hazelnut fan and he went nuts over this little cocktail creation. Stick whipped cream in fridge until ready to serve. 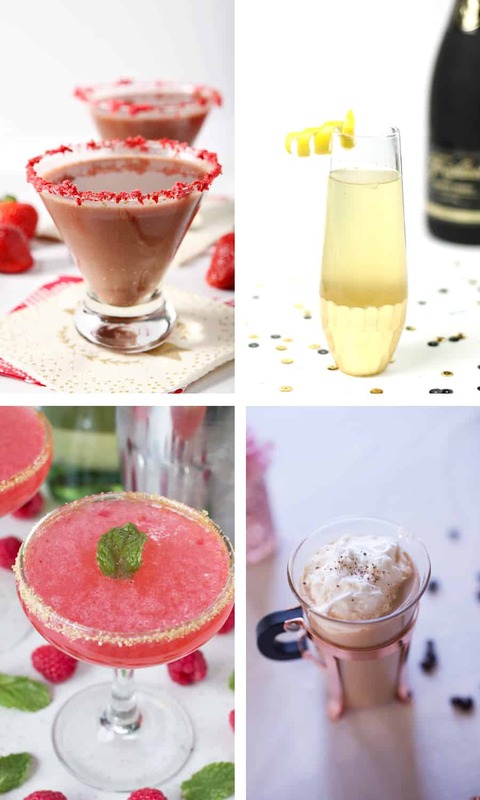 I’ve joined my blog besties for this little cocktail celebration to ring in the new year and celebrate all of the new and exciting things coming up next year! Be sure to check out my friends, Susannah from Feast + West, Erin from The Speckled Palate and Meghan from Cake ‘n Knife. They’ve each prepared some fabulous cocktails for today as well! When we started brainstorming our posts for today, I knew I wanted to use these rose gold mugs that I got for Christmas. I had a ton of rose gold things on my Christmas list this year but my brother actually picked these out all on his own and put them in my and Steven’s stockings. It was really neat to get such a unique but also personal gift from him that showed he pays attention to our style and things we enjoy! 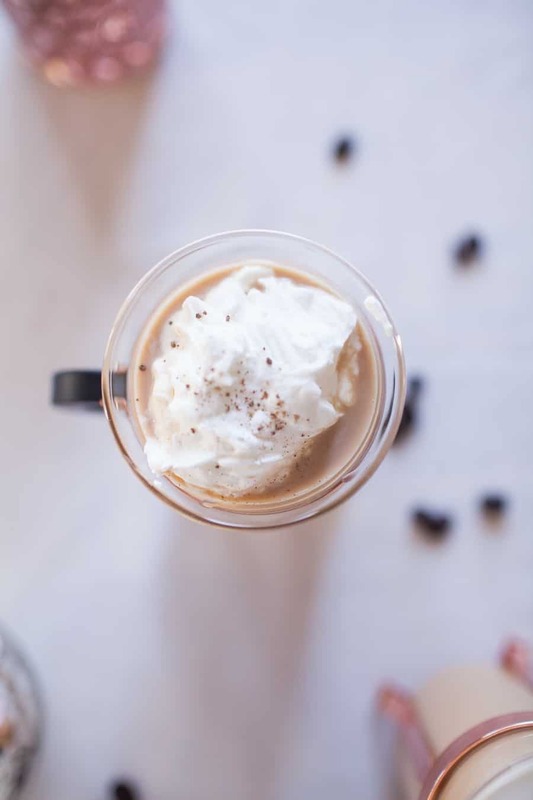 Anyways, this glass coffee mug is perfect to sipping on this hazelnut flavored Irish Cream with Hazelnut Whipped Cream and I think I’ll be doing just that this weekend to ring in 2017! Be sure to check out these other amazing sounding cocktails! I’ll admit these ladies are far more fancy when it comes to cocktails and my friend Susannah even has an ebook, The Ultimate Home Bar Guide, with over 100 cocktail ideas! This drink sounds INSANELY delicious, and I wish I’d had it to ring in the new year with! That said, I bet we can make it happen sometime this year when we all are in the same place and can sip to an awesome year. Here’s to 2017 being the best yet!